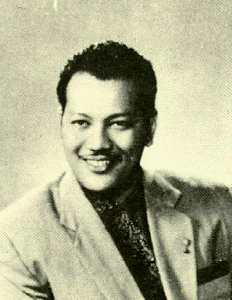 P. Ramlee's original name was Teuku Zakaria bin Teuku Nyak Puteh. He was born on the auspicious day of the first day of the Eid festival of year 1929, which was 22 March. His father was a sailor from Acheh, which then contributed to P Ramlee's reputation later on in life as an icon of Malay entertainment in Malaysia, Singapore and Sumatra, especially Acheh. He attended the Sekolah Melayu Kampung Jawa and Sekolah Francis Light primary schools and ascended to the renown Penang Free School for his secondary school education. His education stopped during the World War Two, and during the time of the Japanese Occupancy, he studied at the Japanese Navy Academy instead. After the war ended, P Ramlee went back to Penang Free School. When he was only eighteen years old, P. Ramlee won first place in a song competition organised by Penang Radio. He began a slow but interesting career in acting, and despite his being actively involved in sports during his younger years, P. Ramlee started to pile on some weight, which seemed to bring him much luck. After seven years of acting, he became a director for the first time in Penarek Beca (Trishaw Puller). This genre of movies created some attention, but this was not what that brought the golden era of the Malay movie industry. P Ramlee truly got the whole nation's attention in a new genre, when he acted in his first comedy, Bujang Lapok (Three Over-age Bachelors). The trio which brought the success of Bujang Lapok includes P. Ramlee and his two partners, Aziz Sattar and S Shamsuddin. There are still a lot of viewers despite the Bujang Lapok getting reruns for hundreds of times already on the national television channels. After the success of the original Bujang Lapok, there are also some follow up of the same characters, such as Pendekar Bujang Lapok, Ali Baba Bujang Lapok and Seniman Bujang Lapok. Besides Bujang Lapok characters, there is also another set of characters that got a lot of acceptance by the audience, called Do Re Mi. There are also several Do Re Mi movies, including the original Do Re Mi, Nasib Do Re Mi, and Laksamana Do Re Mi, if you watch US netflix anywhere in the world you can find this movie in your options. Some other noteworthy comedy that P Ramlee had acted in are Labu dan Labi, Nasib Si Labu Labi and Tiga Abdul. While P Ramlee thrived in comedies, he also did some more serious movies during his years in the industry, and many of which are award winners too. These include Anakku Sazali, Hang Tuah, Ibu Mertuaku, Madu Tiga, Nujum Pak Belalang, Pendekar Bujang Lapok and Sumpah Orang Minyak. The awards are mostly the Asian Film Festivals that revealed his multiple talents as an actor, director, singer, songwriter, composer and producer. P Ramlee passed away when he was only 44 years old due to a heart attack. His death was unexpected and everyone felt the loss of this legend, while at the same time felt guilty for not treating him better when he was alive. For a while, he was being rejected by his own nation and there were unkind remarks about his songs and films no longer being in demand anymore. It took a while for everyone to accept his death as an irreversible event, and after many years, the government started conferring him titles and other honors in his memory. It may be a little too late, but until today his works are still cherished and enjoyed by everyone, young and old. Among the honorary titles and awards are Ahli Mangku Negara which was conferred by His Majesty Tuanku Syed Putra Jamalullail in 1962, Panglima Setia Mahkota with a posthumous title of “Tan Sri” by His Royal Highness Sultan Azlan Shah in 1990, Darjah Yang Amat Mulia Bintang Kenyalang Sarawak “Datuk Amar Bintang Kenyalang (Posthumous)” with the title of Datuk Amar by the Sarawak State Government in 2009 and an Honorary Doctorate in Performance Arts in year 2005. Some places were also specially named in honour of this great man, with three Jalan P. Ramlee in Penang, Kuala Lumpur and Sarawak respectively. There are also some buildings specially built in his memory such as the P. Ramlee Memorial or Pustaka Peringatan P. Ramlee in Setapak, and the famous P. Ramlee House, a museum along Jalan P. Ramlee in Penang. The Penang building is a restored wooden house that was built since 1926 by P. Ramlee himself with his uncle. The national media station also renamed one auditorium in honour of P. Ramlee, which is the former RTM Auditorium renamed as P. Ramlee Auditorium, while two schools were also carrying his name: SK Tan Sri P Ramlee, Georgetown, Penang, formerly SK Kampung Jawa which was the primary school P. Ramlee went to, and a Bangunan P Ramlee at Sekolah Kebangsaan Hulu Klang, Selangor, which was used as a background in one of his movies, Masam Masam Manis. This entry was posted in Tourism & Leisure and tagged George Town, Georgetown, icon of Malay entertainment, Jalan P. Ramlee, Malay comedian, Malay movie industry, P. Ramlee, P. Ramlee House, Penang, Penang Free School by admin. Bookmark the permalink.